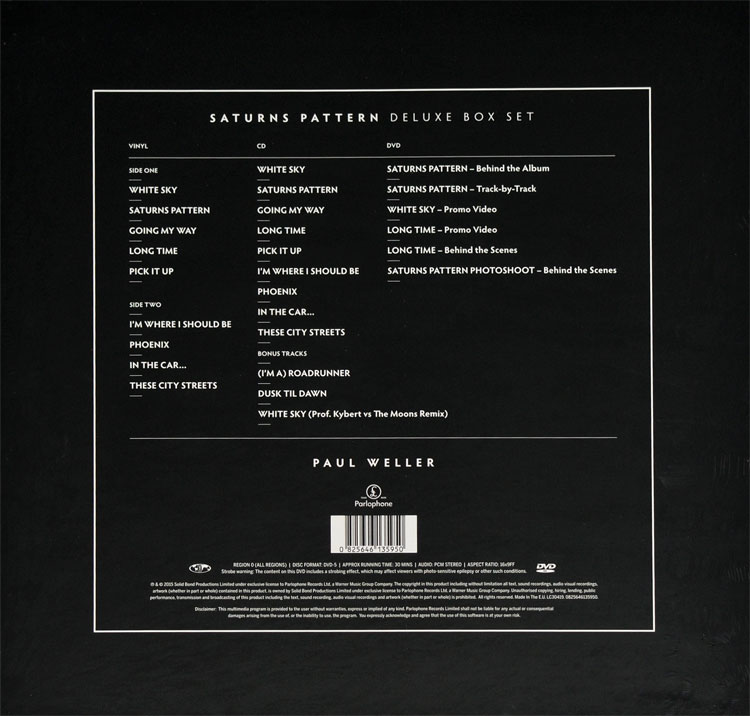 After the adventurous but somewhat sprawling albums of “22 Dreams” and “Wake Up The Nation”, and the short sharp experimental electro-pop of “Sonik Kicks”, Paul Weller returned with this nine track, concise, more traditional “album” format. Because of that it feels that it has more of a cohesive feel. The music is, in many places, just as experimental - all sorts of noises, tape loops, psychedelic guitar, dreamy folky periods, Northern Soul stylings, Beach Boys piano, voice changes, mood changes within the same track. All makes for something of an intriguing cornucopia. “White Sky” is a combustible, noisy opener, with doctored, muffled vocals, crashing drums and some piercing guitar riffs. 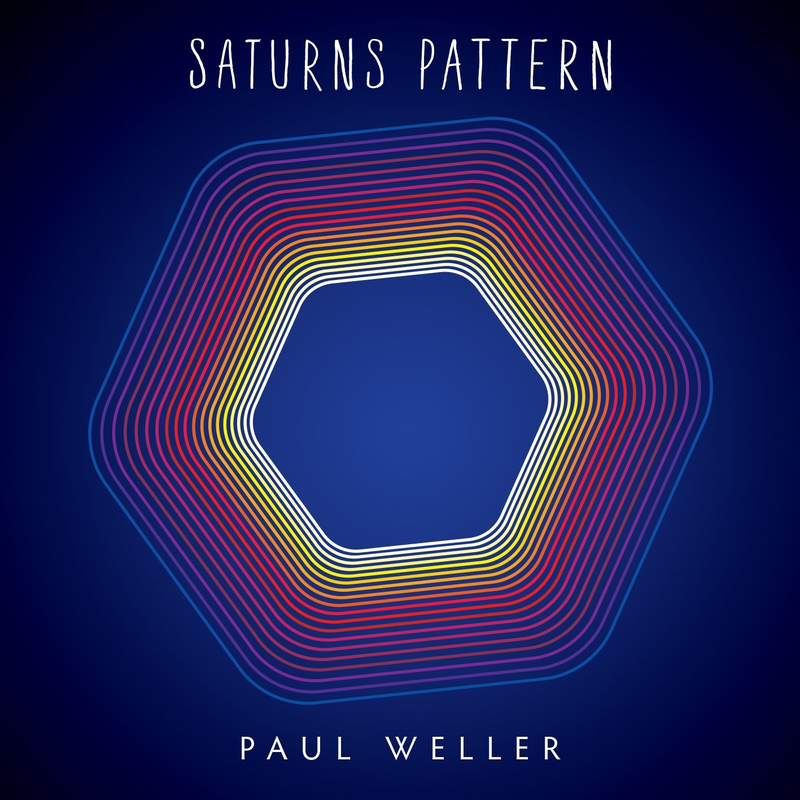 “Saturns Pattern” benefits from an addictive bass line, a melodious hook and some rich, warm sound. “Going My Way” starts like the Beach Boys in the early 70s and then morphs into a typical Weller in the 2000s chorus. “Long Time” is a short burst of 70s glam rock riffery behind a more traditional Weller vocal. For one who spent years slagging off David Bowie, Weller now comes up with a track that crosses “Suffragette City” with “Speed Of Life” as he does interviews saying how great Bowie was! Indeed, he names his son Bowie. The tuneful, enjoyable semi-funky “Pick It Up” and the hypnotic “I’m Where I Should Be”, with its strangely catchy “dum-de-dum” chorus, are both highly rhythmic and appealing, the latter with its 60s psychedelic influences, both musically and vocally. Both have an air of “Study In Blue” from “Sonik Kicks” about them. As indeed does the intro and the bucolic lyrics of the beautiful, intoxicating “Phoenix”. Some great jazzy parts on here. Lovely bass too. Just a simply superb track. Up there with anything Weller has done in his solo career. This album just gets better and better. “In The Car” and “These City Streets” both show a bit of Kraftwerk-style ambient electro-rock influences. The former has a wistful, light acoustic intro before blasting into a heavy, drums pounding intense, dark period about spending “summer nights driving round the M25”, then it goes back to the lighter part again before booming back. It takes a while to appreciate, but it is worth persisting with. Some excellent guitar at the end. 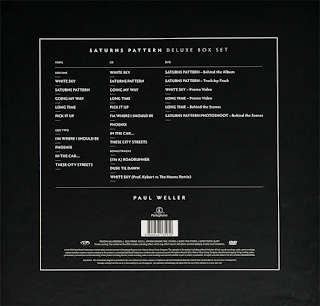 It segues into the introductory noises of “These City Streets” and some more recognisable early Weller phases. Almost soulful in parts, it meanders us to the end of this interesting album, finishing off with some “Uh Huh Oh Yeah”/“Can You Heal Us Holy Man” synth bursts in the final minute, harking back to his first two albums from over twenty years earlier. There are so many moods and influences within all these tracks, though, that it is pretty much impossible to analyse this album. It is quite unique. One of Weller’s best albums in many ways. Completely uncommercial, it will probably never be mentioned as such. Each listen reveals more, as I said, it gets better and better, which is always a good sign. The sound on this album is the best on a Paul Weller for many a year. Full, bassy and warm. The complete opposite to the tinny aural attack of “Wake Up The Nation”. A change of producer may well have been the difference.